Field trips play an important role in learning. 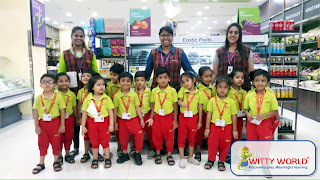 They link the classroom experience with the outside world and in doing so they also improve the process of learning. 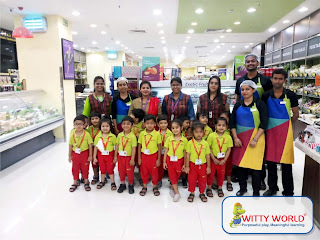 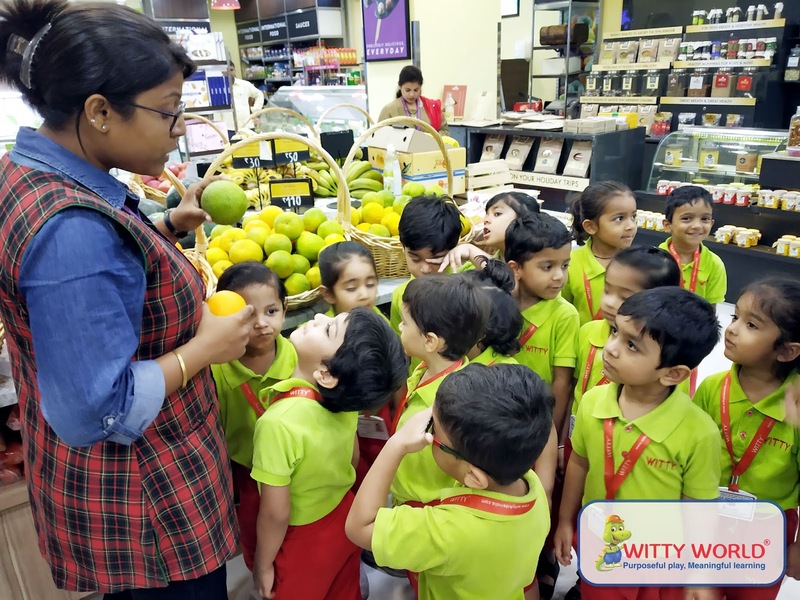 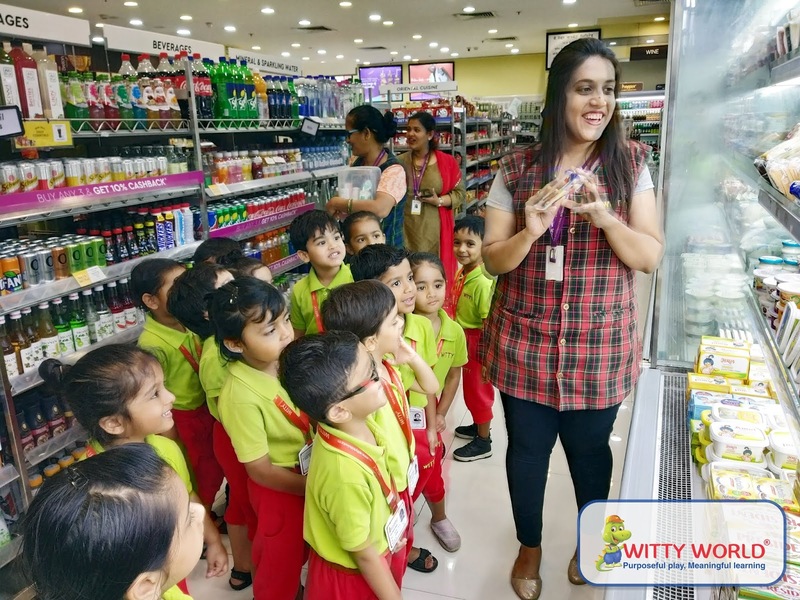 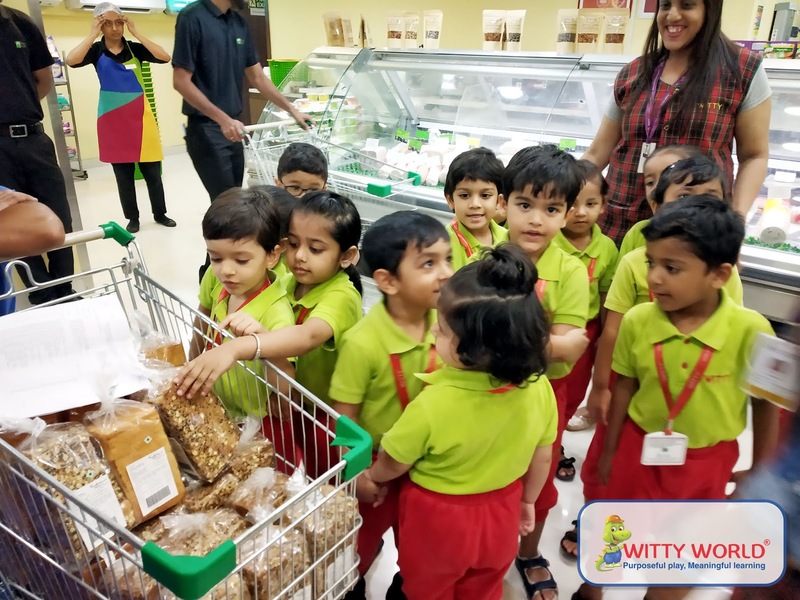 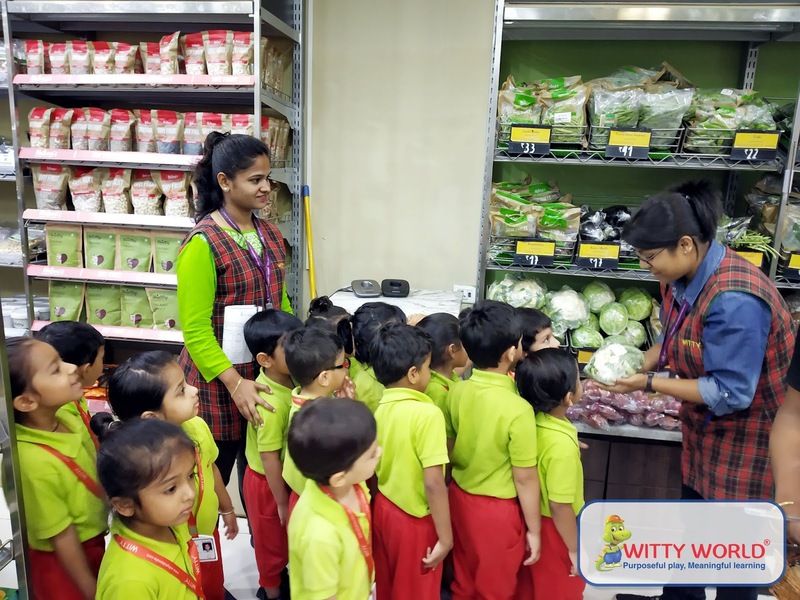 Super market is a wonderful place for children to become aware of and learn about different kinds of foods and other things available there. 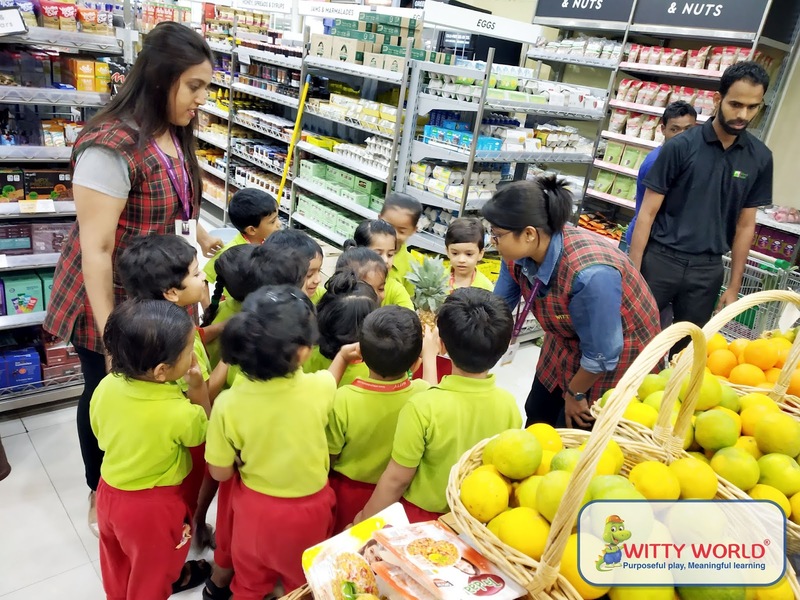 On their visit to the super-market, children identified the types of foods found there. They were shown different sections of the super-market (fresh fruit section, vegetable section, grain section, /dairy/frozen food section and the bakery section. 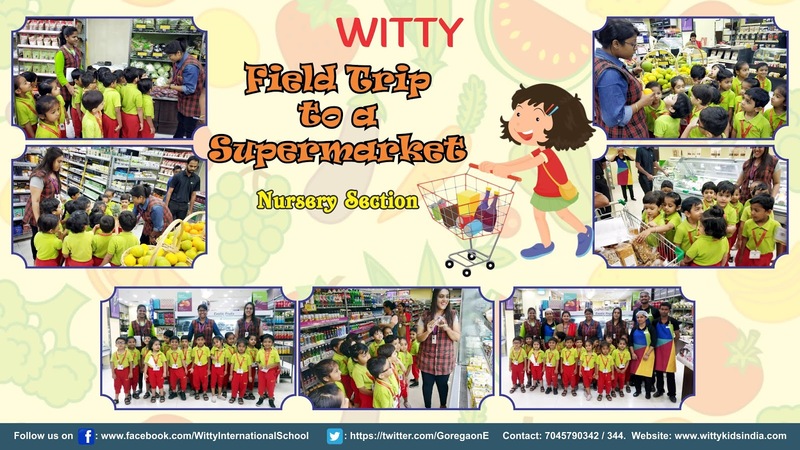 Our students had a great learning experience which is always enhanced outside the walls of the classroom. 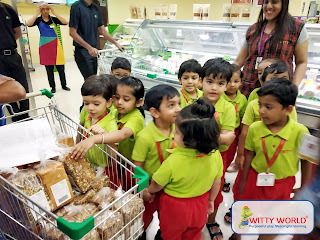 The trip to the super market was a memorable experience for the children.